This is a very good show which displays anxiety in a very real way and is dealt with appropriately. 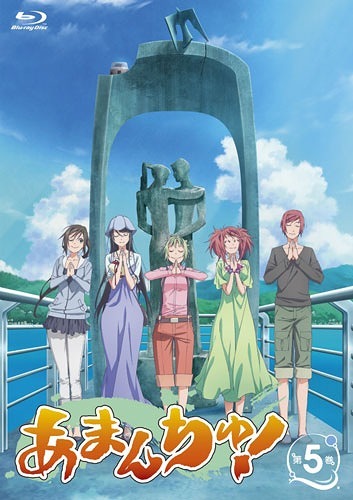 On one hand meet Teko (Futaba) as she’s anxious about a new town, a new school and the lack of contact from her friends from her old school and she seems to be too anxious to contact her friends as she isn’t hearing from them. She has trouble speaking up as she is overthinking the situation and runs away from anything that causes anxiety, and makes friendship difficult. On the other hand we have Hikari “Pikari” Kohinata (CV: Eri Suzuki) who is bad at communication and hence overacts in trying to express what she wants to say. 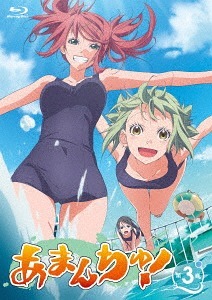 She has a much more positive outlook on life than Teko, and hence allows for the anxious girl to come out of her shell and find safety in her friends and the scuba diving club. 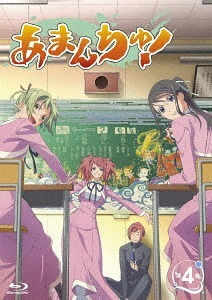 But I can’t help than think that Pikari also suffers from a bit of anxiety, which isn’t expressed in the series, because of her overacting and it’s like to me she chose Teko as her “school buddy” and she is shown preparing to go to school in a similar fashion as she was preparing to scuba dive. This could be just to make a character funny, but later in the show it’s shown that Pikari can express herself very well and she doesn’t overact as much. I know this isn’t really the fault of the animators, but the design of the school uniforms, and some of Teko’s clothing, is just awful. I understand if they tried to get a mermaid-like feel to it, but it looks awful. I don’t even get how stretchy the fabric of the school uniform must be. It looks really tight-fitting, but Pikari can still take giant steps while wearing it, without the skirt being pulled up in a wrinkly mess. I like that they’re into scuba diving, as water often is a symbol of emotions, and it can be a metaphor for dealing with your emotions. You dive into them, with a risk of never returning, but you can return safely – especially if you have a buddy with you to help you out and encourage you. But the clothing still look awful. Though not as awful as the cats in this show. Those are alien cats. If they’re even cats. A downside, that is not related to the show itself, is the translation. Oh, you thought I wouldn’t comment on the subs of a show? Think again! 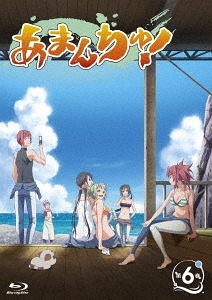 So, the translator for Amanchu! has taken some liberties which I don’t think are representative of the actual conversation. While this bothered me, I can’t say that the message of the show changes and the characters are still well presented in the subs without any major character changes. 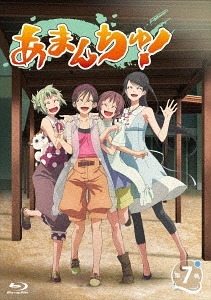 Overall I like this show and its pace and how we see Teko progress as a person. I got this recommendation in the spirit of Mental Health Awareness Month (which is May) and I decided to review it in spirit of Mental Health Awareness Month (still May). 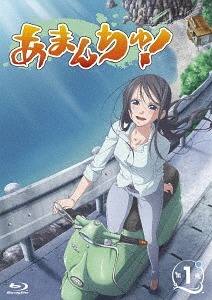 I definitely recommend this show for how it deals with the anxiety of the heroine as well as the symbolism of scuba diving in this case – both in the metaphorical sense, and as there is someone with anxiety trying something that is actually dangerous and despite her worries she comes through and even enjoys the sport. Finally, and most importantly, many thanks to Kani for the recommendation! Due to lack of time I didn’t watch the new season, but I’ll get to it as well! You might notice some changes from this blog post on. You might say I’m trying a few new things. There are also some changes on the site – the most obvious one is that I now need to comply with GDPR. If there will be more changes I can’t sa at this time, but I can say, however, that I’m back with my monthly posts! Support the blog and creators (and your mental health)! 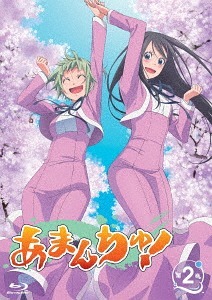 This entry was posted in Anime, TV and tagged 2016, Amanchu!, based on a comic, Itou Shizuka, J.C.Staff, Kayano Ai, Kubo Yurika, Oonishi Saori, summer 2016, Suzuki Eri, Umehara Yuuichirou by Anny. Bookmark the permalink.